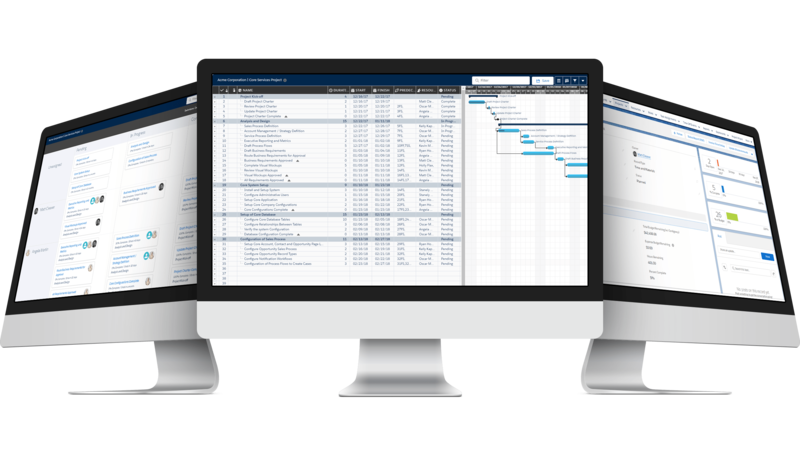 A single system with real-time visibility into project timelines, deliverables, task dependencies, project budget and milestone tracking. Manage your project with all the bells and whistles needed to properly plan, implement, and deliver a top-notch product or service. Focus your time, plan your week, and collaborate with your colleagues, easily and stress free. Centralize your task management with an intuitive, individualized Kanban board that displays your tasks this week, with the added ability to enter time and manage your workload on a unified workspace. Things come up in the workplace, and your original plans can change quickly. This can make time tracking difficult, especially without the proper tools. Increase your productivity levels by capturing time quickly and conveniently with the context of how you manage your work. Manage winning teams and deliver exceptional results. 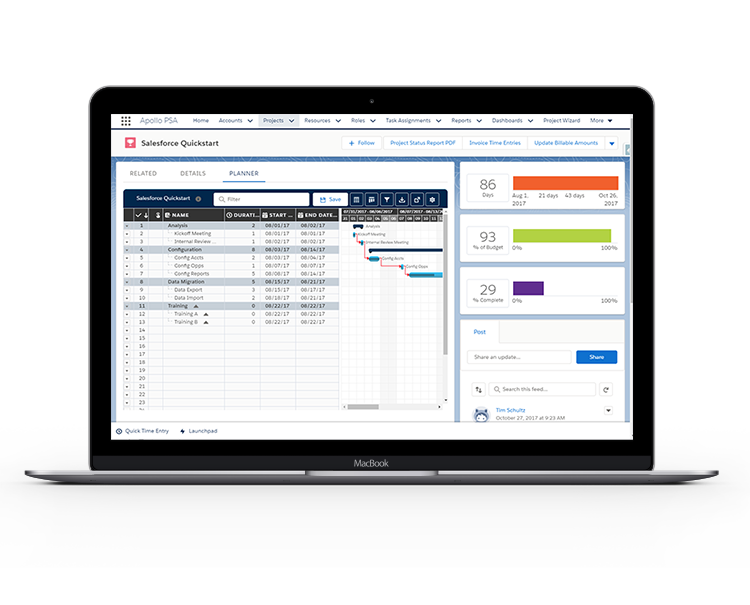 Manage the most complex work breakdown structure with powerful dependency management with real-time task tracking and schedule updates. Assign single or multiple resources to tasks and allocate the workload of each task by resource. Assign company calendars and work schedules to resources for the most accurate project schedule. Manage every project budget in real-time with project accounting at the task, milestone and project levels. Obtain real-time analytics of the status of the project budget. One-click status reporting produces a project PDF of the project status report that can be sent to your clients.